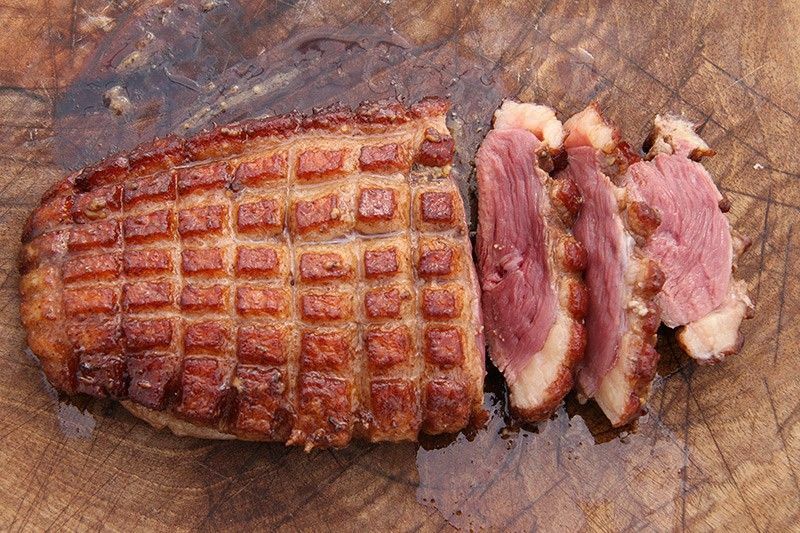 Duck meat is very popular in Europe and Asia. And it is now becoming easily available here, not only in restaurants but also in most grocery stores. In fact, there are some very good duck farms right here in Quebec. Extremely tasty and easy to prepare, this bird’s meat is low in cholesterol and rich in monounsaturated fatty acids, which help maintain your cardiovascular system. As for the cost, vacuum-wrapped legs are on sale for approx. $15/kg, whereas the breasts with skin are often on special offer at around $24/kg, which is way cheaper than shelling out for a good steak. As Easter is around the corner, you’ll find the whole bird fresh as well as frozen in many stores for less than $8/kg. Your guests will love this savoury recipe, plus it’s easy to prepare! This recipe seems like it’s straight out of a restaurant. Bring sophistication to your table with this dish. Your guests won’t be disappointed and you’ll feel like a real chef de cuisine! The meat pairs well with tangy berries. The mix of soy sauce and honey encourages a gorgeous, caramelised skin and elevates the natural flavours of the bird. Heard that duck fat is good for the health. Is it true? « Is there a magic diet to help me grow taller?